You may have heard the terms experiential education and experiential learning. Both terms identify learning through experience as a foundational understanding. However, experiential learning is associated with individual learning. Traditionally experience-based learning in higher education has been presented as educational opportunities complimentary to classroom instruction. These experiences might include clinical experiences, cooperative education experiences, apprenticeships, fellowships, field work, volunteerism, study abroad, practicum and internships, service learning, and student teaching experiences. These types of learning experiences are offered in and across many different disciplines (Giesen, 2012). These familiar experiential education programs demonstrate the value of individual experiential learning. But, the question remains: Is experiential learning a viable approach for online instruction? Understanding the potential for experiential learning for online courses turns upon recognizing experiential learning as a process. The experiential learning process has been described as a cycle of learning (Kolb and Kolb, 2018). The model below illustrates The Experiential Learning Cycle. Experiential learning is understood as constructive pedagogy approach that is highly student centered. The Experience Learning Cycle begins with a concrete experience of some kind. Commonly we think of this as a real world event. That experience is followed by reflective observation of the experience, abstract conceptualization of what was learned, and the application of new learning via active experimentation. That experimentation is integrated as part of the next concrete experience. The interactive and progressive nature of the experiential learning cycle is considered a driver of personal growth and development. The dialectics between concrete experience and abstract conceptualization as well as reflective observation and active experimentation are theorized to drive motivation for learning. Problem-based learning, case-based learning, and project-based learning are examples of design models that may include learning via experience in the real world (Bates, 2014). These models are often used as a way of bringing engagement into online instruction. So, if you have been incorporating these models of learning in an online course you are engaged at some level with experiential learning. But, what if you wanted to design an experiential learning assignment that does not fall within one of these models? What might that look like? Let’s examine the application of the experiential learning cycle to an online learning experience in a course recently offered through Ecampus at Oregon State University. The asynchronous course, Introduction to Organic Agriculture Systems, is a survey style course with an enrollment of students from Oregon and more distant. Let’s step through The Cycle of Experiential Learning with an assignment from this course as our sample context. Hopefully it will reveal some insights into both the process of experiential learning and its practice. The concrete experience for this course was an organic scavenger hunt assignment that was to be completed in the first week of the course. Although the overt activity of was a guided scavenger hunt the learning experience focus was to begin to learn systems thinking in organic agriculture. This is important to identify, as it is the authentic learning goal of the experiential learning. As the professor framed this assignment: “This introductory activity will provide you the opportunity to explore organic availability, marketing, and farming in your community.”This concrete experience is the direct experience of organics in the student’s community. Students were provided with a detail scavenger hunt instruction set and told to complete there first part of the assignment in a local store using an organic scavenger hunt questionnaire-work sheet. Time estimates for completion of the scavenger hunt was up to three hours at the store site. Completed work sheets were turned in to the instructor. The key to this assignment is the real life exploration of the local organic system. Although this will be elaborated on in subsequent weeks of the course, this concrete experience will become a touchstone students can reference as they build new knowledge and skills in systems thinking in organic agriculture. Part 2 of the scavenger hunt assignment includes independent student work guided by questions that ask about the presence of organic farms in the student’s area, type of organic farms, scale of the farms and evidence of their independent research work. This element of the assignment encourages students to search for, identify, and reflect upon gaps in the local organic system in their own backyard. This work encourages students to reflect upon their own concrete experience, the quality of their work, and its linkage to understanding systems thinking. In week three of the course students were assigned a course discussion to share their findings from the scavenger hunt with peers. Here they compare and contrast their scavenger hunt findings and observations. In particular, students were asked to connect the social, environmental and economic dimensions of sustainability in organic agriculture to their observations taken from the scavenger hunt experience. Additionally students were asked to review other student work from different locals and explore common understandings about organic agriculture systems. The value of this exercise from an experiential learning perspective is the application of concrete experience to more abstract concepts described by others or found in other agricultural regions. This provides opportunities for the re-conceptualizing of prior experiences with the goal of expanding on the process of organic agriculture systems thinking. The Cycle of Experiential Learning rounds out with planning and applying new learning about organic agriculture systems thinking to a future concrete experience. 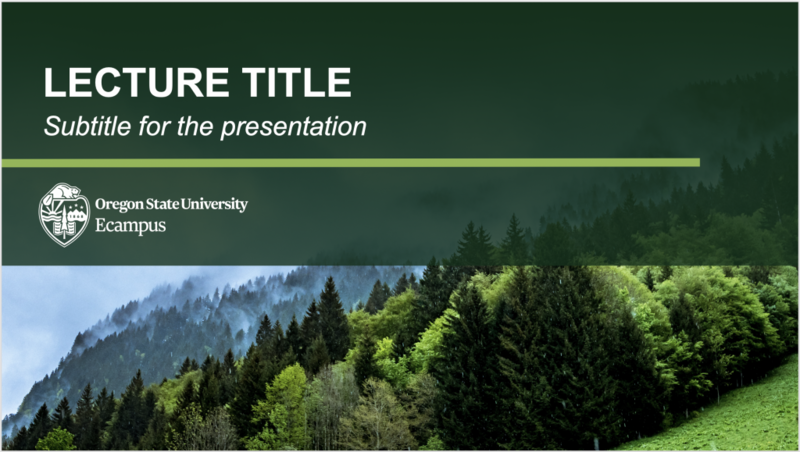 Abstract conceptualization completed in the previous discussion will contribute to the formulation of new questions and ways of examining a local organic agriculture system. Students will likely apply these ideas to ongoing organic agriculture systems thinking in the course. In this way prior reflective observation becomes the root of new questions and predicted results for the next learning experience in organic agriculture systems thinking. The final project of this course is the production of an organic systems map that explains the relationships between organic system stages (i.e., production, processing, distribution/marketing, consumption, and waste) and the dimensions of sustainability (ie. social, environmental, and economic). In order to complete the final project students learn a great deal between their initial scavenger hunt and the final project. Their original concrete experience in systems thinking will likely inform decisions about how to re-apply new organic agriculture systems thinking. The experiential learning assignment we just examined only works if students perceive that moving through the cycle of experiential learning addresses an authentic learning need. As the course is focused on introducing organic agriculture systems the idea of learning systems thinking makes sense. It captures the fundamental truth of what is expected to be learned (Jacobson, 2017) making the learning appropriate. As you explore the possibility of using experiential learning in your online course it is valuable for you to first consider formulating answers to a number of questions. What is the authentic learning needed? What concrete experience provides students with access to that learning? 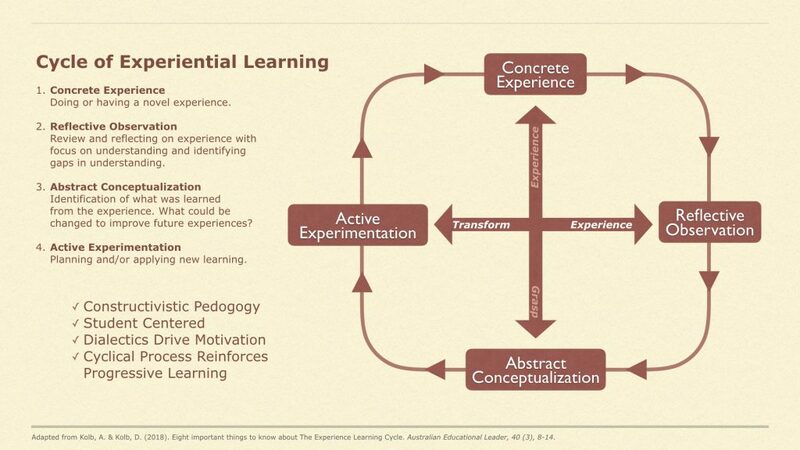 How will students carry that concrete experience through the cycle of experiential learning? How will you provide the opportunity for concrete experiences for remote learners in a way that fosters individual learning and contributes to large scale learning in the course? As you explore experiential learning for your online course revisit the model shared in this article. For help in this process contact your Ecampus instructional designer. They can help focus the key questions and suggest instructional strategies and tools to help you achieve your online experiential learning goals. Jacobson, J. (2017). Authenticity in Immersive Design for Education. In Virtual, Augmented, and Mixed Realities (Ch 3). Singapore, Springer Nature. Kolb, A. & Kolb, D. (2018). Eight important things to know about The Experience Learning Cycle. Australian Educational Leader, 40 (3), 8-14. Experience Based Learning Systems Inc.
One of the common ideas instructors have to bolster student-content engagement in a course is to add media. Podcasts are a type of media element that can support learning in a number of ways. It is relatively easy to link to an established podcast. Planning and producing your own podcast is more involved. This post explores the idea of producing a podcast for your online course. Is it something you should consider? Prior to diving into the value and purpose of podcasts it is useful to understand what a podcast is…and what it isn’t. The term podcast is a portmanteau of “iPod” and “broadcast”. This blended word says a lot because a podcast is a digital recording that is produced for distribution to a computer or mobile device (e.g., the iPod in 2005). Podcasts are distributed via RSS feeds that users subscribe to. Podcast directories, like iTunes®, allow users to find and subscribe to a podcast. Generally podcasts are episodic and often serial in nature with new episodes delivered automatically to subscribed users as the new content becomes available. So, you can see a course podcast is more than an audio or video file embedded in an online course that students click on to engage with. In its ideal form, a podcast is a method of delivering course content to a learner’s mobile device via the podcast subscription process. Learners can engage with that content at any time and any place they have their mobile device. Sample cover art from select Oregon State University podcasts. There a three primary formats of podcasts. Links to examples of each type of podcast are provide at the end of this article. Video (vodcast): This podcast type distributes a digital video file to podcast watchers. Enhanced: The enhanced podcasts distributes a media file that displays images synchronized with audio. With mobile devices pervasive in college audiences, being able to distribute educational content to those devices is very attractive. The use of podcasts in online learning environments is common and spans many disciplines (Supanakor-Davila & Bollinger, 2014). Podcasting has also been applied in traditional college courses (McGarr, 2009) and in graduate teaching (Luna & Cullen, 2011). Fernandez, Sallan and Simo (2015) recognized podcasting as a major phenomenon in education with the primary purpose being the distribution of course content. Informative: Description fo concepts, analysis, synthesis, readings etc. Feedback: Audio or video feed back for student work or group work. Guides: Helpful media content addressing field or practical work, studying, group dynamics and reflective or experiential learning. Authentic: Original media contend such as news, interviews, radio programming and others. The production of podcasts can be faculty, student, or outside expert driven. Like any good media production it should have excellent production value and a structure to hold attention and enhance learning. Since podcasts are serial in nature shorter media segments are encouraged. Episodes of 15 minutes or less will likely promote better engagement with podcast content. Although a very engaging podcast can be longer. The benefits of podcasts in online courses are tied to the nature of the media and distribution process. Audio podcast are popular because they can be listened to while doing other tasks. Additionally the speed of media playback can be controlled by the listener. Video podcasts are ideal when visual support is necessary to foster understanding of the course content. As mobile media podcasts may be used to facilitate and support remote field work by students or even tours of remote places. The ability to watch or listen to podcasts via WiFi or downloaded and used on-demand makes podcast a convenient asynchronous media adjunct to an online course. So, as a course content delivery mechanism podcasts are a unique tool if applied thoughtfully. Understanding podcast types, formats, and their delivery mechanism helps you make better decisions about podcast application. Visit the Research in Action podcast website at Oregon State University to listen to this episode and see how transcripts are shared. Making content accessible when using podcast requires some planning and also reflects the nature of the podcast media you plan to use. For audio podcasts it is important to provide transcripts to support all learners. Video podcasts are best paired with well synchronized captions. When planning video podcast you may also want to think about providing audio descriptions of content that provides important information that is shown as a visual in the video. Podcast Consumers: Is This Your Audience? This is an important question. If you produce a podcast are learners likely to engage with it? Is podcasting on the radar of potential learners? The Edison Research survey on The Podcast Consumer (2018) indicates that 26% of those surveyed listen to podcasts monthly. The podcasting audience by age shows that 30% of 12-24 year olds, 32% of 25-54 year olds, and 13% of 55 + year olds have listened to a podcast in the last month. Male and female listeners are about evenly split in podcast engagement. Smartphone and other mobile devices make up 76% of podcast listening devices with computers making up 24% of podcast engagement. The top three locations of podcast engagement are at home (82%), followed by in a car/truck (54%), and walking or on foot (41%). Podcasting seems well suited to reach audiences that are remote, mobile, and consume media in an asynchronous fashion. These are also common descriptors of online learning audiences. A Podcast For Your Course? If a podcast sounds interesting to you contact your instructional designer at Ecampus. They can help you understand more about this mobile media opportunity and help think through strategies for effective podcast use. They will also work with Ecampus multimedia developers to help facilitate the production and distribution of your podcast. So, what do you think? Can you imagine your students engaging with course content as a podcast? Could a podcast work in your online course? Enhanced podcasts are best viewed on a mobile device although they can be viewed in iTunes once downloaded. Prior to 2017 educational podcasts were distributed by Apple via iTunes U. With changes in iTunes educational podcasts now appear in the podcast section of iTunes and iTunes U was discontinued. Carvalho, A. A., Aguiar, C., Santos, H., Oliveira, L., Marques, A., & Maciel, R. (2009). Podcasts in higher education: Students’ and lecturers’ perspectives. In A. Tatnall & A. Jones (Eds. ), Education and technology for a better world (pp. 417-426). Boston: Springer Berlin Heidelberg. doi:10.1007/978-3- 642-03115-1_44. Fernandez, V.; Sallan, J.; Simo, Pep. Past, present, and future of podcasting in higher education. In L., Many & Y. Zhao (Eds.). Exploring learning & teaching in higher education pp. 305-330. Berlin: Springer, 2015,. Luna, Gaye, & Cullen, Deborah. (2011). Podcasting as Complement to Graduate Teaching: Does It Accommodate Adult Learning Theories? International Journal of Teaching and Learning in Higher Education, 23(1), 40-47. McGarr, Oliver. (2009). A Review of Podcasting in Higher Education: Its Influence on the Traditional Lecture. Australasian Journal of Educational Technology, 25(3), 309-321. Supanakorn-Davila, S., & Bolliger, D. (2014). Instructor Utilization Of Podcasts In The Online Learning Environment. Journal of Online Learning and Teaching, 10(3), N/a. Posted in Audio Lectures, Multimedia, Resources, Tools & Trends, Uncategorized. This article is the first of a two-part series on producing video interviews featuring guest experts for online courses. Part I focuses on planning while Part II will address the faculty role in the video interview production process. Connect learning with an authority in the field. Communicate what the practices are in a given field. Describe the nature of work of a professional in a given field. Show important work environments or processes. Introduce a second, collaborative voice to instruction (Laist, 2015). One of the common ways instructors incorporate the expert’s voice into a course is by inviting a guest speaker into the classroom. Or, class members might travel to a field location where the person being interviewed works. In both cases the experience of the guest expert interview is live and located where the interview occurs. 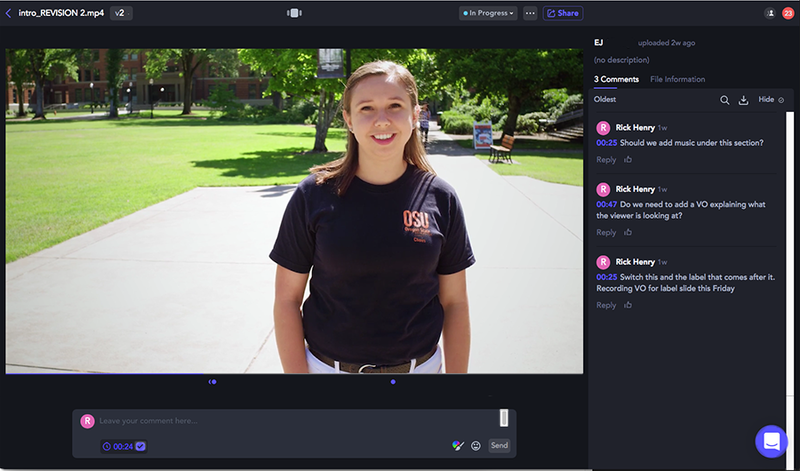 The synchronous live interview, a staple of on-campus courses, is problematic for online instruction. Online instruction is shaped by the nature of the online environment. Asynchronous class sessions, the remoteness of learners, and limited access to field sites would seem to limit the use of guest experts. Ecampus instructors are moving beyond those limitations by creating carefully planned and professionally produced video interviews of guest experts in order to leverage the instructional benefits of interviews for their online courses. An example of this is a media project produced for Dr. Hilary Boudet’s course PPOL 441/541 Energy and Society, offered by Oregon State University’s School of Public Policy. Dr. Boudet worked with the Ecampus video team to re-imagine a traditional live field site visit to the O.H. Hinsdale Wave Research Lab at Oregon State University as a series of guest expert video interviews. Dr. Boudet carefully planned the interview process and served as the on-camera host in the video interview series. Three OSU scientists served as the guest experts in the on-site interviews. Because of careful planning, primary interviews and recording were completed in half a day. The guest expert interview recordings, and subsequent video editing, resulted in the production of four videos ranging in length from ten to twenty minutes each. The interviews represent approximately one hour of video content for the PPOL 441/541 Energy and Society course. You can view the first of the four video interviews by clicking on the image from the video below. Hilary Boudet interviews guest expert Pedro Lomónaco. Click on image to watch the video. As the video interview planner, Dr. Boudet made a number of key decisions regarding video interview structure and content. We will highlight these decisions as answers to the 5 W’s of video interviews: Who, What, When, Where, Why and also How. You may want to think through answers to these questions when you plan a similar project. Let’s take a look at each of these questions in the context of the PPOL 441/551 video. Why are you doing the video interview? In the case of PPOL 441/541, Dr. Boudet wanted to capture the instructional value of a field site visit and conversations with scientists related to that site. So being on location was essential. She wanted to show the O.H. Hinsdale Wave Research Lab and use it as a vehicle to discuss how the lab and Oregon State University researchers contribute to the larger social conversation about wave energy and social issues related to its use in coastal communities. What is the subject of the video interview (s)? Dr. Boudet identified four independent but related topics she wanted to address with the guest experts. The topics are listed below. Each of these topics fits well within the learning outcomes for the Energy and Society course. In this instance, Dr. Boudet had a clear story arc in mind when selecting topics. She structured the video segments to address each topic and conducted each interview as its own story that supported the larger learning arc. Having a clear vision for the use of guest expert video interviews helps guide video production on-site and also informs the final video editing process. Where will the interview be recorded? Prior field visits to the O.H. Hinsdale Wave Research Lab helped Dr. Boudet work with both the guest experts and video production team in thinking through locations for interviews and what needed to appear in the video. Understanding the O.H. Hinsdale Wave Research Lab also helped in deciding what aspects of the lab and props would be ideal to record for each video interview. It is clear What and Where are two closely related planning questions. In general on-site video production requires a large space for staging and a quiet space for recording. The interview recording site must also be relevant to the subject being addressed. If you do not have a recording space available Ecampus has a studio facility that can be used. Who is to be interviewed? Dr. Boudet had a clear plan to bring expert voices into the video interview. The guests to the class served as scientific experts as well as guides to the facility being visited. In the case of the PPOL 441/541 video interviews, Dr. Boudet chose to have the scientists appear on screen and to also appear herself. This is a key decision that shapes the planning and production process of the video interviews. As you might imagine, the technical demands of having one person on camera is different from having two people. Recording equipment needs and subsequent editing approaches are impacted by the number of people included “on camera” in any interview scenario. When will the interview occur? Scheduling interview recording involves coordinating your own schedule with Ecampus video staff and your guest expert(s). In the case of PPOL 441/541, Dr. Boudet arranged to have all interviews recorded at the same facility but in different spaces. Additionally, the interview times were coordinated to facilitate the video production team being present for a large block of time when all guest expert interviews could be recorded. After primary recording, the video production staff returned briefly to the O.H. Hinsdale Wave Research Lab to record b-roll content; shots of the facility without any people. This is a common process in video production. Part of preparation for a video interview is embedded in the answer to our previous questions. But preparing the content of the actual interview also requires planning. Dr. Boudet prepared a list of questions that she wanted to have addressed as part of the interview. She shared the purpose of the interview and her questions with the guest experts in advance. This collaborative effort contributed to a clear understanding of the intent of learning for all parties. Sharing your questions with interviewees can be helpful. Asking guest experts not to memorize answers but to prepare with bullet points in mind will help the interview feel spontaneous. There are obvious types of questions you will want to avoid. For instance, yes or no type questions can stunt an interview. Remember, the idea is get the instructional information you need. Be prepared to ask a question again if it is not answered the first time. Or, ask for clarifications to a response as part of the interview. Also provide opportunities at the end of the interview for experts to add anything they like. Remember you might get some great information and if it is not useful it can be edited out. Preparing the physical interview space and interviewees is part of what the Ecampus video team does. They can provide tips on how to dress for a given interview, where to stand, where to look, and how to stage the interview space. Now that we have answered some of the key questions in the video interview planning process watch the sample video posted above again. Can you see or hear the answers to the questions we have addressed? Special thanks to Hilary Boudet, Heather Doherty, Rick Henry, Chris Lindberg, and Drew Olson for their contributions to this article. 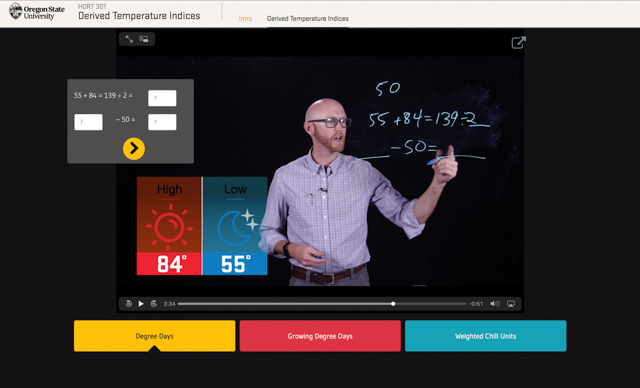 Should You Consider an Interactive Video Lesson? If you are considering developing an online course with Ecampus, you may be curious how you will translate your lectures to the online format. 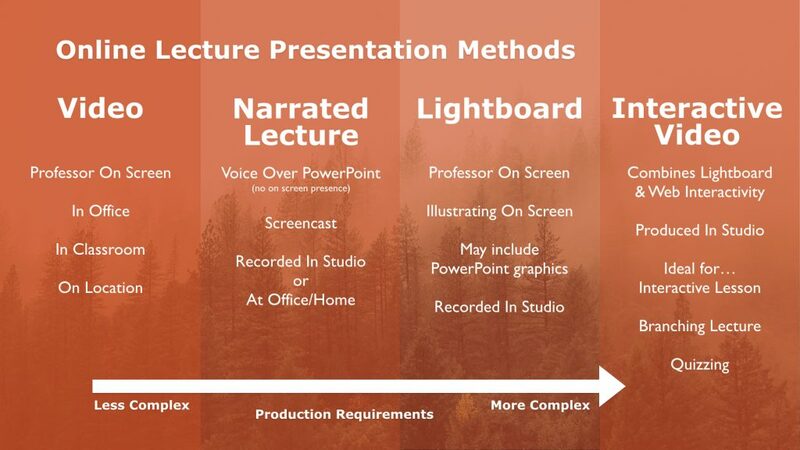 There are several effective online lecture presentation formats available to faculty. They differ in the type of video recording required and the kind of post-production work required after the initial recording. Dr. Ryan Contreras teaching using an interactive video lesson in the Biology of Horticulture course. Select image to watch the four minute video. As is seen in this excerpt the interactive video lesson has as its foundation a video recording of a Lightboard presentation. Layered over that recording are interactive elements that control video playback—sometimes pausing, other times auto-advancing to specific clips—or to progress through the lesson, trigger a student’s input of feedback, and, most importantly, increase the amount of student engagement in the lesson. In the case of HORT 301 the interactive element prompts the solving of a temperature indices formula. The base video could have been used by itself. However, it is the melding of the Lightboard presentation with the interactive feature that makes the interactive video lesson a highly engaging presentation for the online environment. 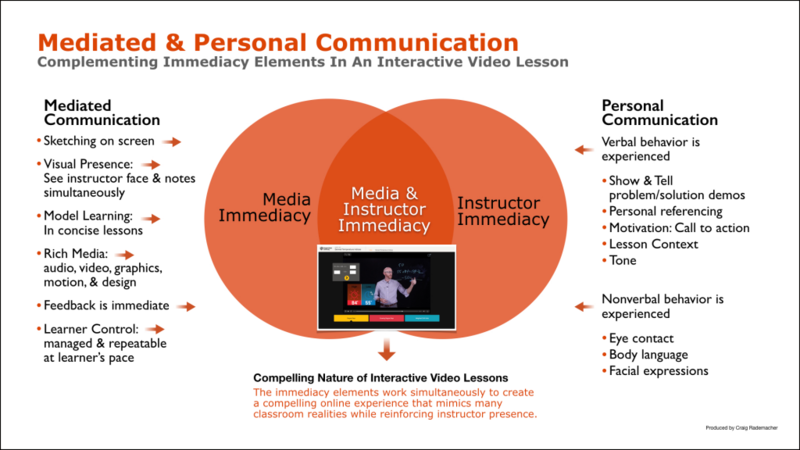 The model below proposes how the elements of personal and mediated communication immediacy are brought together to make an interactive video lesson a compelling experience. 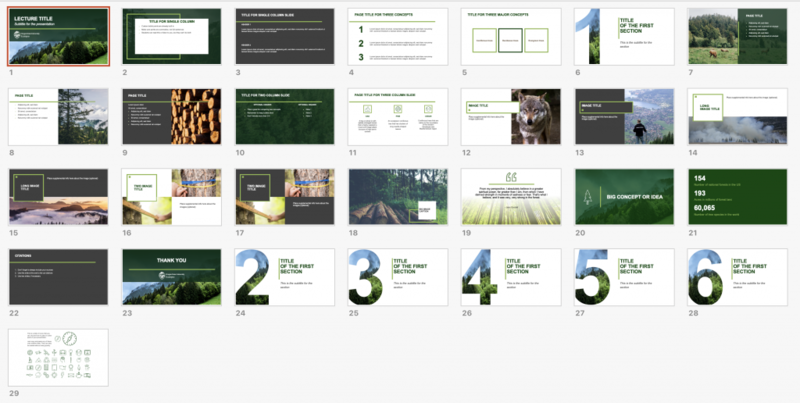 In this project instructional design, in conjunction with visual design, video staging, and interaction design, was focused on solving the issue of how to teach a self-paced formula-drive lesson in the online environment. The result is an interactive video lesson that presents as a unified visual space that fosters an actual “see through” psychological perspective. Although clearly a media production, this approach to online lesson presentation implies an unmediated learning experience. It is enhanced by the camera literally seeing through the Lightboard glass to the instructor conducting the lesson fostering a sense instructor presence. This type of interactive lesson design is desirable because it presents classroom-like learning in a student-controlled online environment. The result is an interactive video lesson that is new in design format but familiar experientially. Is Interactive Video For You? A decision to adopt this approach to lesson design will likely be successful if you have a lesson that is formula driven. Certainly math subjects and many science subjects might benefit from this approach. Is it also applicable to humanities courses? Can you imagine teaching language, music, or poetry with an interactive video lesson? If you can, contact Ecampus. We would be glad to help you adopt this approach to lesson design for use in your online course.